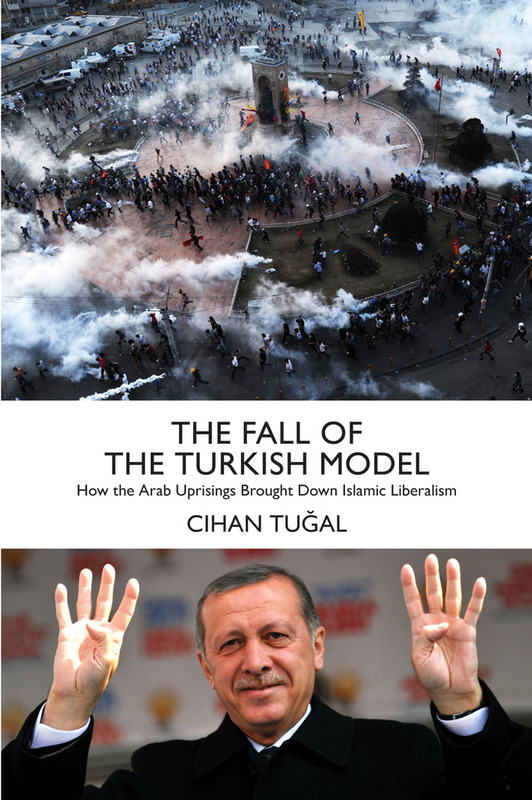 Following the failed coup to overthrow Erdogan last Friday, we present an excerpt from Cihan Tuğal's The Fall of the Turkish Model, in which he argues that the problem with the Turkish model of Islamic liberalism is much broader and deeper than Erdogan’s increasing authoritarianism. The excerpt contextualises the current situation in a succession of coups and Turkish political culture since the late 1970s, including the case of Ergenekon, which provides parallels with the most recent alleged coup attempt and the official representation of the ensuing crackdown as a defense of democracy. Local and global elites could wish for a liberalized Islam as much as they wanted but one could not be simply conjured up into existence. Most important, the Islamist actors themselves would have to desire such a revised religious line, and this desire, moreover, could not turn into a social force without eff ective organization. Only in some places were there the preconditions for such a fundamental religio-political transformation. The (perhaps temporary) exceptional case of Turkey allows us to appreciate the contingency of factors that made a popularized liberal Islam possible. How could Turkish Islamists move in a liberalized direction? How did the intellectual and political landscape enable a liberalized religious life? After the crisis of 1997, when it became clear that larger concessions were necessary to win the toleration of the ruling elite, a new generation of Islamists began to challenge Erbakan's leadership. In the late 1970s, 1980s and early 1990s, this generational conflict had been expressed as a clash between ardent young radicals and a more conservative mainstream. Charles Kurzman has argued that the expansion of mass education, literacy, journalism and alternative religious institutions bolstered liberal Islam in the first two and last three decades of the twentieth century. While this may be true, until the 1990s the semi-self-fashioned intellectuals who were partly the products of these changes were quite likely to become radicals. Liberalized ideas were in circulation throughout the 1990s. However, they would not have become a mass line, the more or less consistent project of a bloc, without political organization. The former radicals' engagement in trade raised doubts about their old dream of a wholly distinct "Islamic economy." Nevertheless, this halfhearted questioning did not amount to a complete rejection of the Islamic economy until a new political party, the AKP, normalized the market economy among its constituencies. More and more intellectuals and activists gradually abandoned their puritanism as the party rose to prominence and fell under the influence of those who had been pushing for the separation of religion from politics and economics. How did this party emerge? The neoliberal, (relatively) pro-democratic, and pro-US younger generation of the Virtue Party first tried to take over the existing party structure. Its leaders lost on a vote during a major party congress on 15 May 2000, then established a new organization in 2001, the AKP. The AKP leaders promised the secular media and the military that they would not use religion for political purposes. But what did they mean by this? The AKP would not challenge the headscarf ban, they reassured the old elite. They emphasized their allegiance to the free market (in line with the interests of their own increasingly bourgeois support base) and parliamentary democracy. The leaders were also vociferously pro-European and committed to the process of EU accession. They made frequent trips to the United States, holding meetings the agendas of which remained private. Abdullah Gül helpfully explained to an American audience that the members of the AKP were "the WASPs of Turkey." The new leadership was thus trying to reclaim the territory of the centre-right in Turkish politics — in effect, to reconstitute an updated version of that alliance of export-oriented businessmen, religious intellectuals and the state elite at which the subordinate fraction of the power bloc had traditionally aimed but which had become impossible with the rise of radical Islamism. As a logical consequence, the AKP incorporated politicians from the now failed centre-right parties. The liberal (less rigidly secularist, more pro-American and less authoritarian) wing of the military, as well as centre-rightists in the secular media, gave signals that they would be willing to work with such a reformed Islamic party. This convergence crowned decades-old efforts by liberal academics, Turkish and Western. Central to this transformation were the changing fortunes of a post-Sufi community. The Gülen community (named after its spiritual leader, Fethullah Gülen) was a frequent target of Islamist attack before the coup in 1997. Islamists perceived the community as an ally of the Turkish and American states. In the 2000s, the community became not only a necessary ally against an oppressive secularism, but a respected member of the now expanded Islamic-conservative bloc as well. Through its inclusion of the post-Sufi community, the AKP regime also gained further liberal credit. The Gülen community was based on some of the central themes of the Said-i Nursi line (Said was one of the most prominent clerics of twentieth-century Turkish Islam. His followers splintered into several groups after his death. All of them are known as "Nurcu."). The Nurcu interpretation of Islam is based on a scientific (some would say positivistic) understanding of Islam, a silent (rather than armed and public) struggle against the left, support for the centre-right (rather than an independent Islamic political party), a synthesis of the Sufi and textualistic elements of Islam, and an overall strategy that focuses on Islamizing the individual rather than the state. However, this community significantly shifted more towards the centre than did other Nurcu groups, especially by supporting cooperation between Turkey and the West and dialogue among religions. The community was Turkish nationalist, and the schools it built all over the world emphasized Turkification more than Islamization. Covering was not one of the priorities of the community, but some have commented that in all other issues pertaining to gender, its internal relations are quite patriarchal. The public discourse of the community (as voiced by quite powerful media channels such as the newspaper Zaman and the television channel Samanyolu) was not based heavily on Islamic references but rather sought to instil national pride, a mainstream and pragmatic foreign policy vision and a stance against authoritarian secularism. However, the internal structure of the Gülen community was quite complex. The inner circles (which were much less public) were more committed to Islamic piety. Finally, the key word in the Gülen community was responsibility. Its understanding of responsibility was more individualist and market-oriented in comparison to that of the Islamists. In all these senses, the community was Islamic conservative and nationalist, rather than Islamist. Before 1997, relations between Islamists in Turkey and the Gülen community were not only conflict-ridden but also sometimes violent, as Islamists struggled to save the youth from Gülen's pro-Western understanding of Islam. In the 1980s and 1990s, the conservative wing of the power bloc marketed the Gülen community (along with another post-Sufi community, the Süleymancıs) as antidotes to Islamism. Up until the 1999 elections, the Gülen community publicly supported centre-right (and once, even centre/left-nationalist) parties and openly criticized Islamists (for example, Gülen verbally attacked the mobilization for the legalization of the veil on university campuses). The community welcomed the military coup in 1980 and (in oblique fashion) the 1997 coup (though it eventually fell victim to the latter intervention). After 1997, Islamists started to think that Gülen had a more realistic agenda than old-style Islamism. Key to this turn was the purge of Gülen followers from the army in the aftermath of the 1997 coup. Gülen emigrated to the United States after the coup, reinforcing his image as a victim of rigid secularism. He settled in Pennsylvania and aimed to build a bridge between the Islamic world and Washington, based on dozens of quite influential NGOs inspired by his reinterpretation of Islam. In Turkey itself, the community's influence was restored after the AKP came to power in 2002. In this process, the tone of the Islamist press gradually switched from critique to praise and admiration. The Gülen community was perceived, in the 2000s, as an unquestioned member of the Islamic bloc against the Kemalists. The relation between the AKP and the community went beyond a simple alliance and (despite many lingering tensions) resembled a merger, as many Gülen followers became AKP members and leaders. Even though the AKP's appeal to liberals rested primarily on its pro-democratic stance, the party never actually demonstrated more than a pro forma commitment on this front. Erdoğan was already known for his authoritarian tendencies. Between 1994 and 1998, he had ruled Istanbul with an iron fist. At the AKP founding congress its leadership pledged itself to internal party democracy, but initial moves in this direction were soon overturned. In 2003, the AKP's Board of Founders annulled internal elections to the party's Central Committee and invested the party president, Erdoğan, with sole authority to appoint or dismiss its members. The Turkish liberals and conservatives (as well as their Western allies) were willing to ignore these open signs of authoritarianism, since the AKP was their only hope against the vestiges of corporatist secularism and an Iran-style Islamic threat. A further test of democratization was the official approach to the Armenian massacres of 1915. The power bloc had always denied any responsibility for these killings. It is still a criminal offense in Turkey to say that they constituted genocide. In 2005, with expectations of democratization rising, an international group of scholars attempted to organize a conference at which the genocide thesis could be openly debated. AKP Interior Minister Cemil Çiçek reacted by saying that the conference organizers were "stabbing the nation in the back." The scholars first called the meeting off and then moved it to a different university due to this semi-veiled threat. While holding such a gathering would have been hard, if not impossible, under any previous government, the incident was a stark reminder of the nationalist-authoritarian tendency within the AKP, of which Çiçek was a leading figure. Despite this, liberal academics remained staunch supporters of the party, seeing only Çiçek as the villain. Even today, some liberals date the AKP's authoritarianism back to 2007, before which the party had been allegedly committed to democratic reform. They thus choose to paint over their own mistreatment at the hands of the party during the golden age of Islamic liberalism. These authoritarian moves had their counterparts in the relation of the party to the people in the mid-2000s. While Erdoğan's government legislated a series of democratic reforms at the instigation of the EU, it also disregarded the most basic norms of representativeness and accountability with regard to its electorate. Rather than taking popular grievances seriously, Erdoğan publicly scolded anybody who talked to him about hunger, unemployment or housing problems. At party rallies he told the poor to pull themselves together and do something for themselves, instead of expecting the government to do it for them. In May 2010, he told the families of the victims of a mining accident that the suffering of miners was an inseparable part of their job, indeed their "fate." Erdoğan had likewise blamed flood and earthquake victims in poverty-stricken areas of being responsible for their plight (since they had picked dangerous locations to live in and used low-quality construction materials in their buildings) and denied official responsibility in the face of social protest (which followed these events). When his proclamations about "fate" aroused criticism in the press, the prime minister questioned the faith of his critics, telling them to discuss the matter with the Directorate General of Religious Affairs. In this manner, Erdoğan manipulated religious discourse to shut off public debate about the mining industry and other social issues. Some analysts perceived demilitarization and the government's position on the Kurds as proofs of its allegiance to democracy. Since the AKP was able to marginalize the military — which had come to constitute the root of all evil in this new, liberal, revisionist and quite simplistic interpretation of Turkish history — its "minor" infringements on rights could be forgiven. But even here the outcome was mixed. During the course of the "Ergenekon" trials, the pro-government prosecutors and journalists courageously attacked some murderous groups within the state. A network called Ergenekon (after a Central Asian–Turkic legend) had been allegedly assassinating minorities and fomenting violence. However, a number of opposition figures (at best) loosely or ideologically connected to these murderous groups were also imprisoned. Moreover, any opposition to the government after that point was labelled publicly as "pro-Ergenekon" without any proof (such as a major strike in 2010 by Tekel workers who had lost their rights as a result of privatization). On the one hand, ethnically oppressive laws were rescinded. On the other hand, the courts and security forces ratcheted up the pressure against legal Kurdish parties and associations, alleging that they had ties to the illegal guerrilla organization, the Kurdistan Workers' Party (Partiya Karkerên Kurdistanê, or PKK). Even children were put on trial for participating in demonstrations organized by legal Kurdish parties. While secular and religious liberals celebrated the Ergenekon and Kurdish processes, critics (Kemalists, secular-nationalist Kurds, and socialists, who were all losing support to an endlessly expanding pro-AKP liberal intelligentsia in the 2000s) raised the suspicion that the AKP was democratic only to the extent that doing so benefited the party and its bloc. During the late 2000s, not only Islamists but also many liberals and Marxists were absorbed into the AKP's conservative agenda. Partly based on the social science of the last three decades (the common argument of which tended to be that pious people represent the "periphery" and "civil society" in opposition to the centre and the authoritarian state tradition), partly motivated by the European and American search for a "moderate Islam," these liberals and leftists joined forces with the ex-Islamists to fight the bureaucracy, Kemalist intelligentsia and the intensifying labour, environmental and youth activism — all of which they now perceived as one bloc against democracy. Another hope was that the AKP would resolve the Kurdish issue through its mix of Islamic conservatism and democracy. Not surprisingly, therefore, many Turkish and Western liberals and leftists were mobilized to help pass constitutional amendments that would increase the scope of the executive's powers through curbing the powers of the judiciary (which remained, quite mistakenly, perceived as a secularist stronghold) and the military. After a successful referendum in 2010, the 1980 constitution was indeed amended. Instead of curbing military excesses, however, the government ratcheted up military pressure on the Kurdish national movement (and to the dismay of only a few of the leftists in its coalition) police pressure on labour and other Turkish activism. The AKP also received carte blanche from these forces in its pre- and post-referendum cleansing of the media from "anti-democratic" (read anti-AKP) elements. In sum, what marked AKP success was not deploying authoritarianism (as all neoliberal parties since 1980 have done), but dressing it in "democratic" and "Islamic" garb. Liberalism, like any other project, needs to repress some of its enemies; its relative success lies in its more persistent blending of such repression with fluctuating inclusiveness. The failed manoeuvres of a new CHP leader (Kemal Kılıçdaroğlu) to push the party to the left demonstrated that the new power bloc's articulations had become so "common sense" that nobody could take a step without falling back on the oppositions between Islam, democracy and the free market on one hand, and secularism, authoritarianism and statism on the other. The pro-AKP media (ranging from conservatives and ex-Islamists to secular liberals and liberalized ex-Marxists) repeatedly accused the new CHP leadership of having a hidden agenda: the new leader was, at best, just a naïve prop fronting a coup plan. Pro-AKP journalists also held that student protests against privatization and massive strikes were parts of the same coup plot. Subsequently, all attempts to bolster a leftward move in the CHP were interpreted as militarist conspiracies. The authoritarian forces in the CHP used this environment to render moves by the new leader ineffective. Kılıçdaroğlu himself shifted to old-style Kemalism as a response to these pressures. What was more important than the AKP's sweeping electoral victories, then, was its success in destabilizing and marginalizing its opponents. In sum, before the Arab revolts of late 2010 and 2011, Turkey (backed by its Western allies) revelled in a dystopia of near-total consensus. A reshuffling of Islamic political society had led to the formation of the most hegemonic bloc in Turkish history. The top academics, the most revered public intellectuals, many activists and a large proportion of the popular classes had become one with the regime, even if they attributed contrasting meanings to their adherence.